Our portable miniature golf holes are available for indoor and outdoor applications. 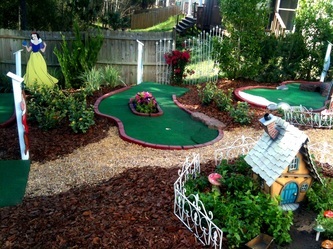 They are lightweight and affordable. 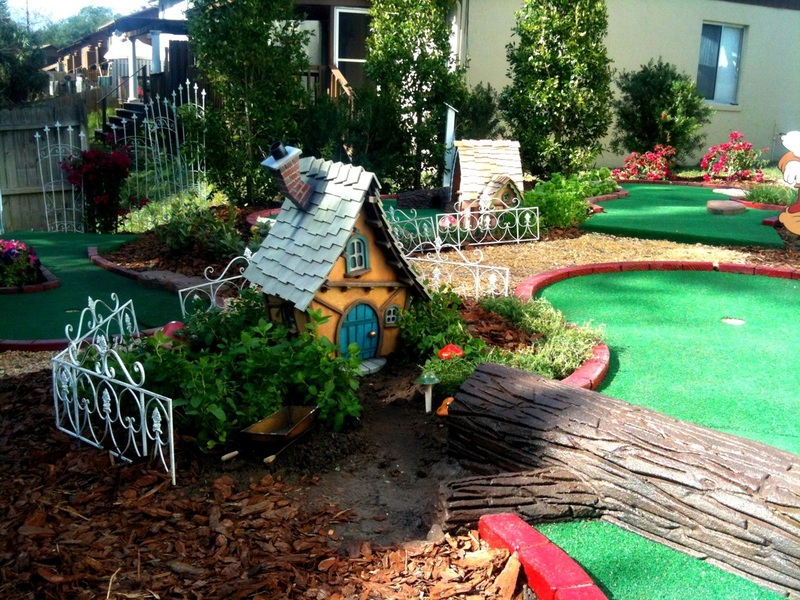 Installation is easy, so they are great for rental applications. 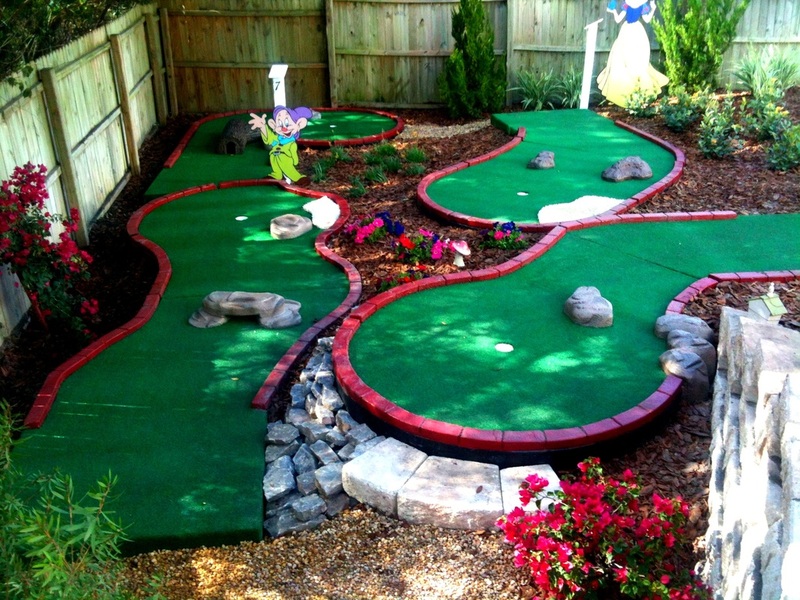 We can include regular and specialty obstacles, black-light all rock borders, and water features. 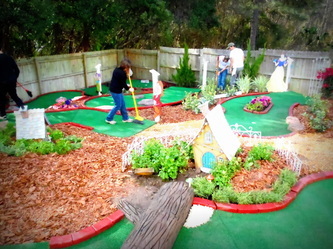 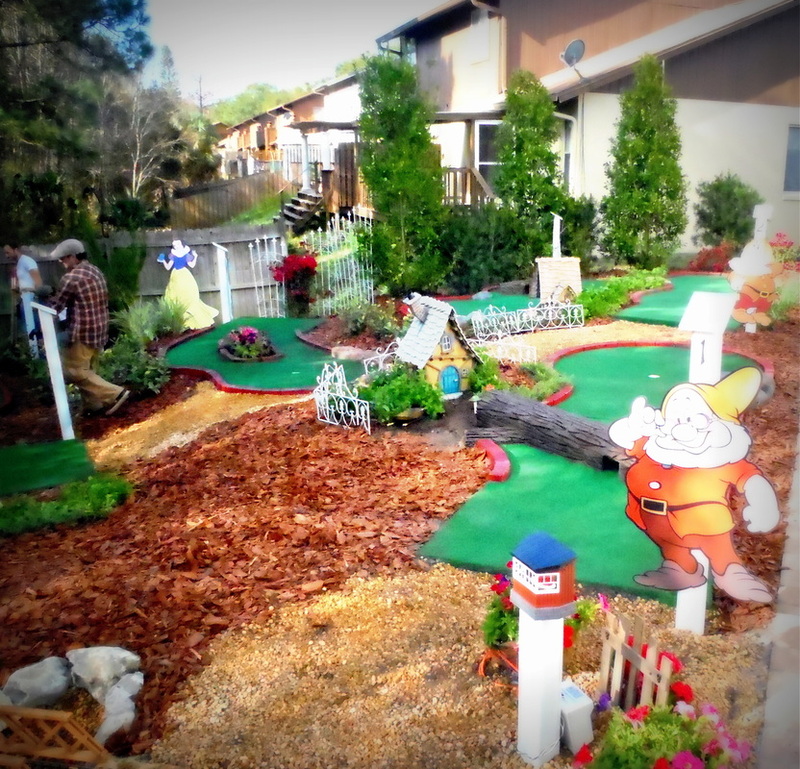 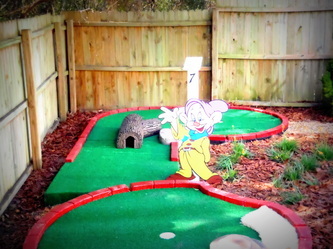 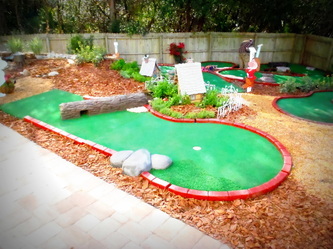 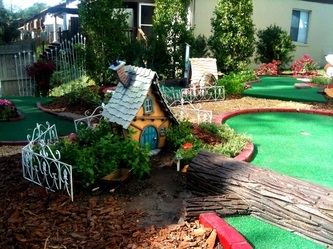 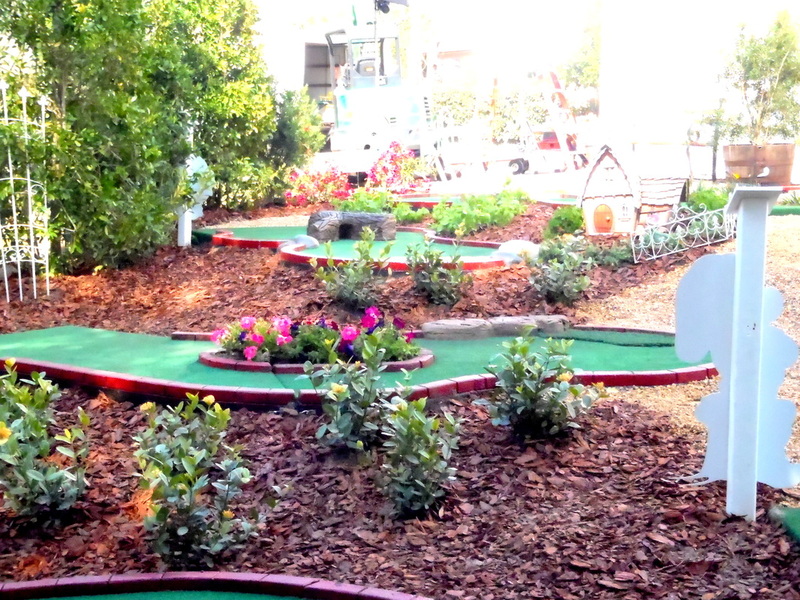 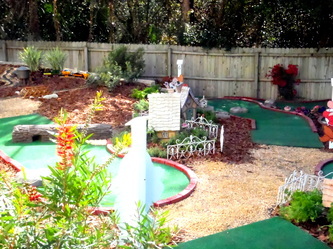 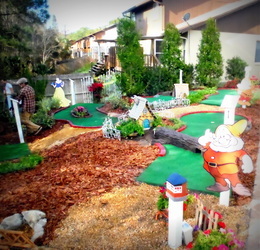 We offer complete 9 hole portable miniature golf courses, 18 hole portable miniature golf courses, and also single holes. 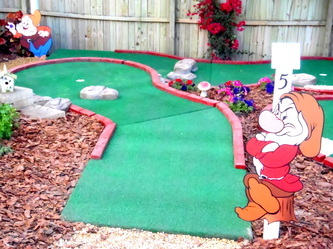 Our portable holes are made from a high density foam. 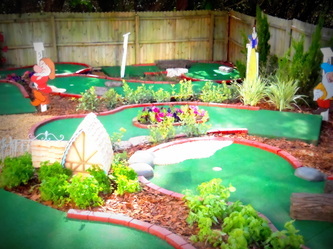 We apply a hard plastic coating for strength and durability. 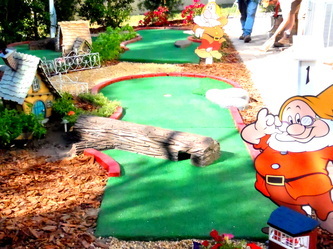 You can add putt thru rocks and logs, rough or sand turf. 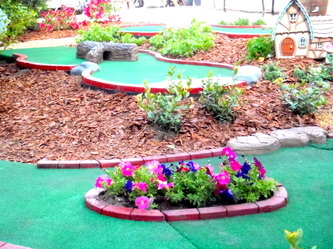 Sizes of holes range from 8', 10',12', 14' and 16' feet in length. 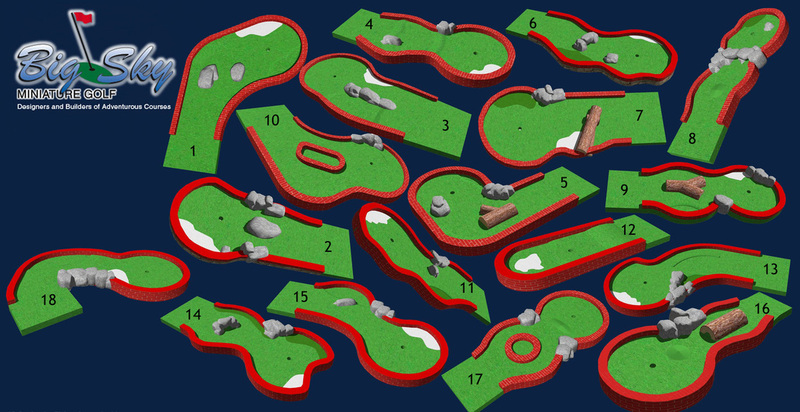 Holes are sold as single, 9 hole course and 18 hole courses. 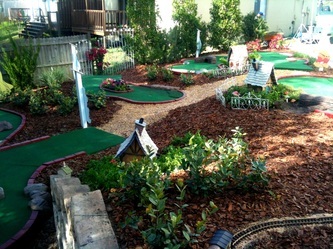 Please contact Big Sky Miniature Golf for a construction timeline. 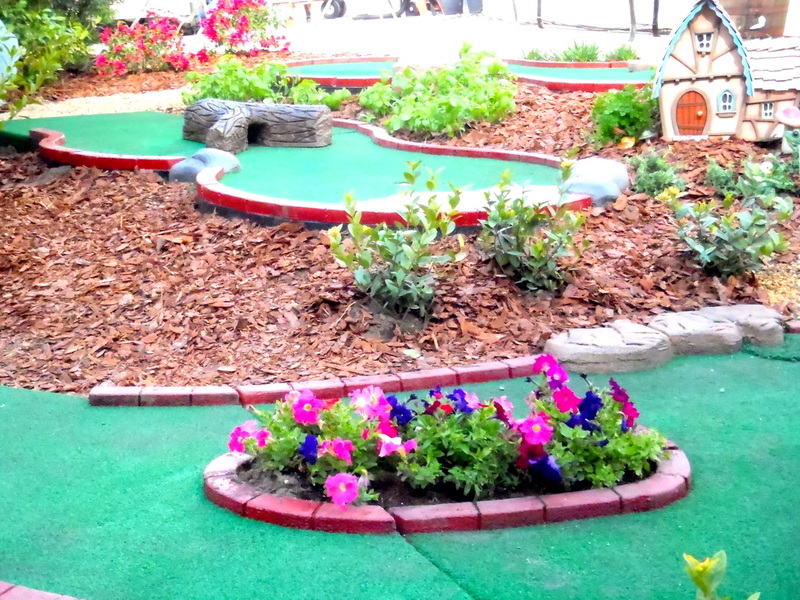 Circus Circus under the Adventuredome in May of 2013. The modular course below was featured on My Yard Goes Disney, season 2 episode 1. 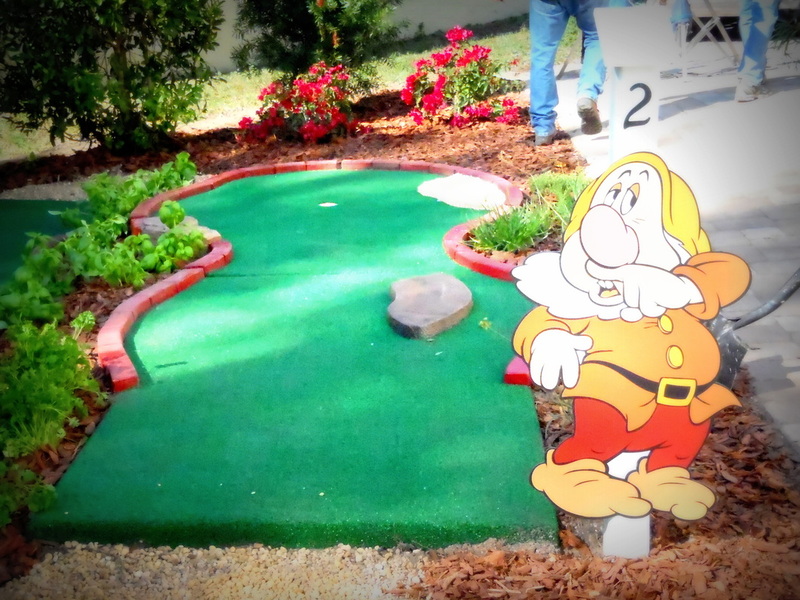 Full episode is available on the Media page​. Perfect Addition to Your Rental Business!